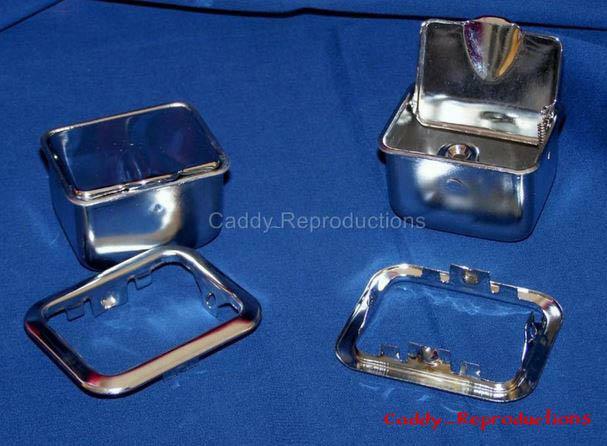 1948 - 1964 Cadillac Ashtray / Bezels 4 pc. 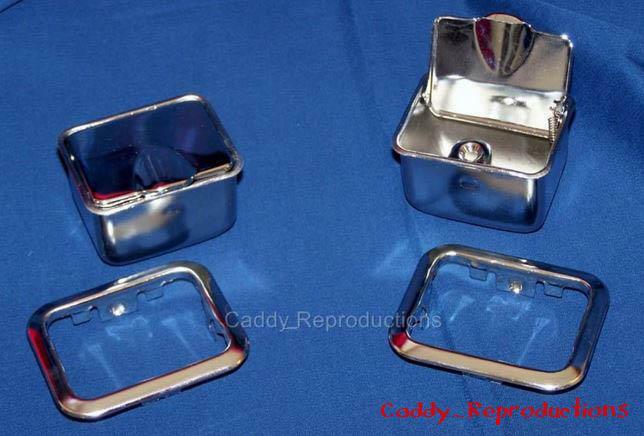 ~~Here is a set of Brand New Rear Ashtrays & Bezels for your 1948 to 1964 Hardtop & Convertible Cadillac's. Replace your missing or Rusty Ashtray's with these Beautiful New Reproductions. These are Not exact reproductions, however, they are the only comparable Ashtray's on the market. Please check your application to see if you need the lighters or not. This kit does come with the Bezels which may or may not be required depending on your year & model.